Are you in Austin, or the surrounding area? Are you free tonight? 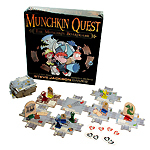 Do you love Munchkin? Can you find Great Hall Games? Actually, I can help you with the last one. Well, Google can. The short version is: a block south of Lamar and Koenig. It's a great store for all you boardgame needs, from chess to Settlers of Catan. And the Austin Boardgame Group meets there every week. 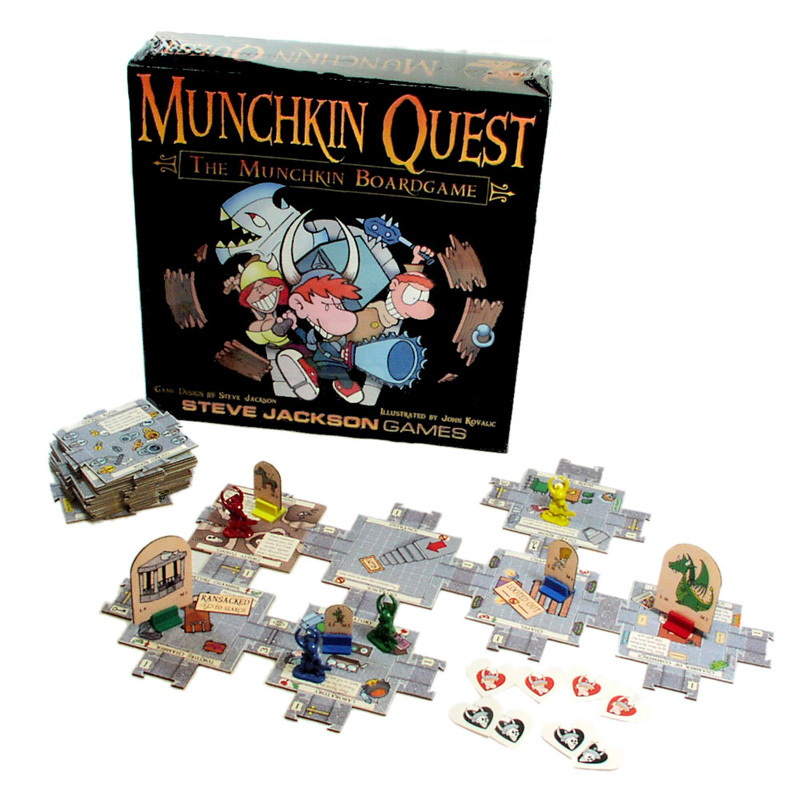 Tonight, Friday April 11, at 6:30, Munchkin Quest will get a very public playtest, as run by Will. The components aren't perfect, but they're in color, and they're very, very close to the files we'll be sending to the printer. The rules are even closer; there are a few tweaks to be made, but this "build" is stable and fun. We only have slots for four players, and we'll want to start as close to "on time" as possible, so don't be late! Of course, if you don't get a seat, spectators are definitely encouraged -- the more eyes, even if they're not playing, the better. And we'll have the newest edition of Lord of the Fries for showing off; check it out before it hits store shelves! If you have more questions, contact Will.